To increase global lead production without increasing emissions. Our breakthrough technology, AquaRefining delivers ultrapure lead at a high yield while reducing environmental footprint and permitting. 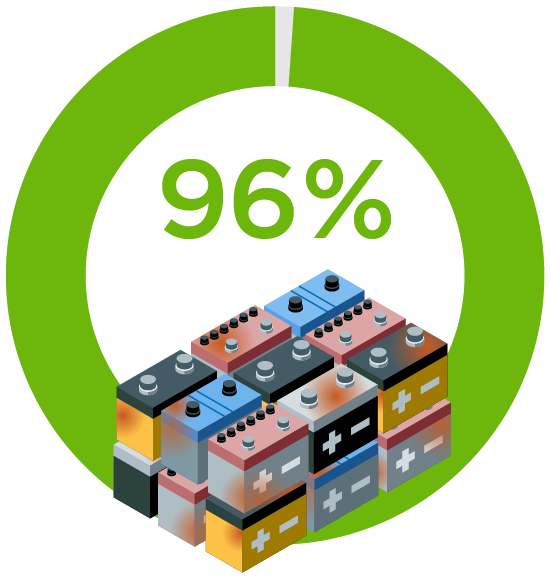 Ninety-six percent of all rechargeable batteries are lead-based. Lead is an integral component in over a billion electrical storage devices used across the globe including every car and truck, hybrid and electric vehicle. Lead based batteries provide backup power for hospitals, electrify households and are the primary mode of energy storage for buildings, data centers and telecom. Lead is a finite resource with a rising demand. For this reason recycling is critical to keep pace with growing energy storage needs. Lead batteries are the only 100% recyclable batteries available. 80% of the lead used to manufacture new batteries is recycled. Recycling is critical to keep pace with growing energy storage needs. In recent years, tightening emissions regulations have forced many U.S. smelters to close. This has driven battery manufacturers and distributors to increasingly rely upon unregulated smelting operations in developing nations, negatively impacting the environment and human health. Finding a cleaner and more cost-efficient lead recovery and recycling method is critical to the lead recycling community. Our patented and patent pending lead refining technology, AquaRefining, increases lead production to meet rising demand without increasing emmissions while reducing environmental permiting requirements. 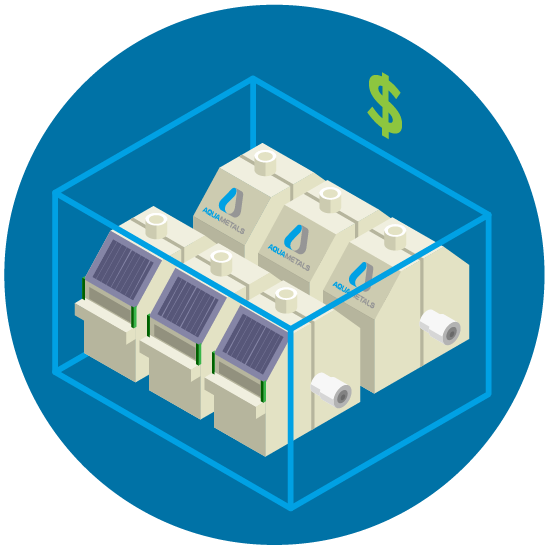 AquaRefinings’ modular design can be implemented in stand-alone facilities or licensed to partners for placement at existing battery recycling facilities, cost-effectively closing the loop on a profitable, circular economic model. AquaRefining utilizes a room temperature, closed-loop, water-based process combined with non-toxic, biodegradable organic elements to produce 99.99% pure lead. This is equal to or better than mining, with no need for secondary processing; effectively meeting increasing demand for lead through an environmentally and economically sustainable operation.